Clean as a whistle! Welcome to #208, 128 Centre Ave. in scenic Cochrane, Alberta. 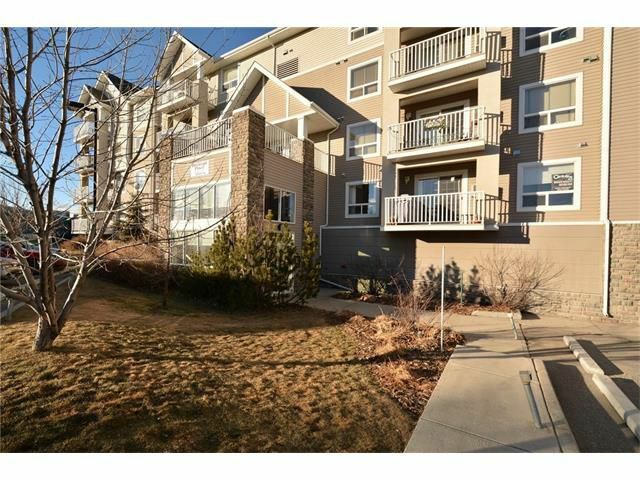 This pristine corner end unit with south and west views of downtown and the Rocky Mountains boasts a very comfortable floor plan and many added features. The bright, functional kitchen boasts newly updated counters & silgranite sink, and a new Stainless Steel stove. There is an adjacent dining area that continues to the open living rm w/ corner gas fireplace and air conditioning unit, keeping you toasty in the winter and cool in the summer. Enjoy BBQ's on your SW deck, complete w/ gas outlet. There are 2 spacious bedrms & 2 full bathrms (1 ensuite), as well as in-suite laundry, underground heated parking, infloor heat, designer Hunter Douglas blinds, and the list goes on. Very central location - walk to Walmart, Save-On Foods, restaurants, etc. and easy access to Hwy 1A. Separate storage locker offers ample storage as well. Very well kept building in central Cochrane. View today - this one won't last!